This is one of my favorite go-to recipes and something I make quite often. My daughter is not a big fan of “spicy” so you can temper the cayenne to suit your taste. Enjoy! 2 bell peppers seeded and cut into 1 inch pieces…I like to use the red, orange or yellow cause they’re a nice contrast to the chicken and brighten up the dish. 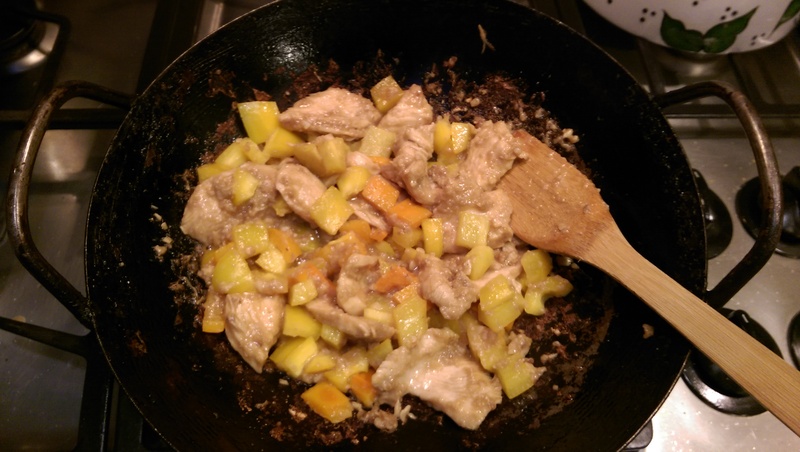 Mix together wine, soy, egg white and cornstarch in a bowl…add chicken and turn to coat well. Marinate for at least 3 minutes. 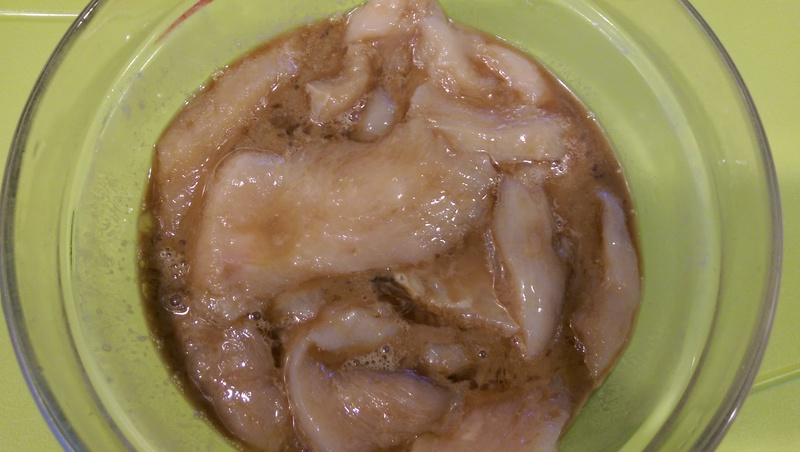 Mix together vinegar, salt, sugar and sesame oil in a small bowl. Heat oil in wok…add the garlic & cayenne and stir fry for about a minute or so, but not too long…the garlic can burn and get bitter. Add chicken. 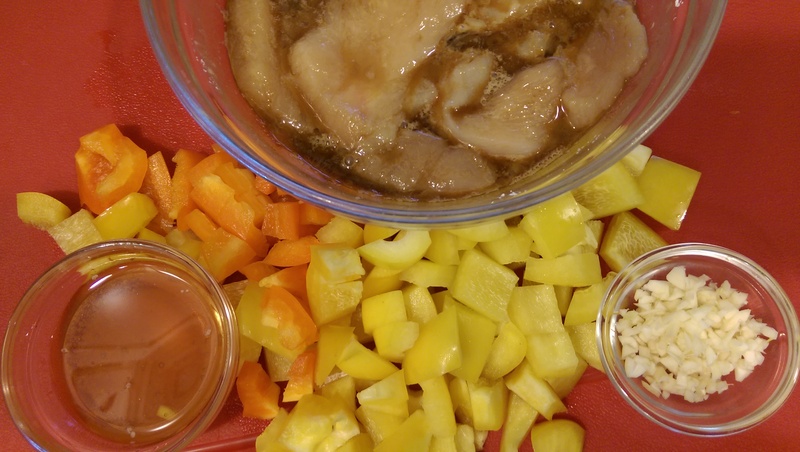 Stir fry until the chicken is golden brown, then add bell peppers, stir fry a bit more to soften and then finally add the vinegar/sugar mixture. The vinegar/sugar mixture, in addition to adding a yummy extra layer to the dish, gives the dish a nice sheen. Stir fry until sauce thickens and is bubbly. This is my favorite kitchen appliance! 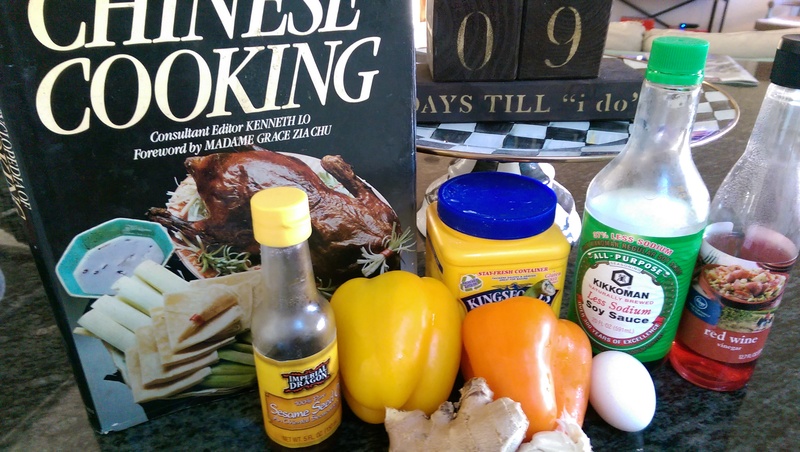 I got it in Chinatown when I lived in SF….before 1984 (along with the wok and Chinese cookbook pictured). It’s got a few dents but works like a charm. 1 cup rice to 2 cups water or chicken broth, plug in and push the bottom. Flawless rice every time! 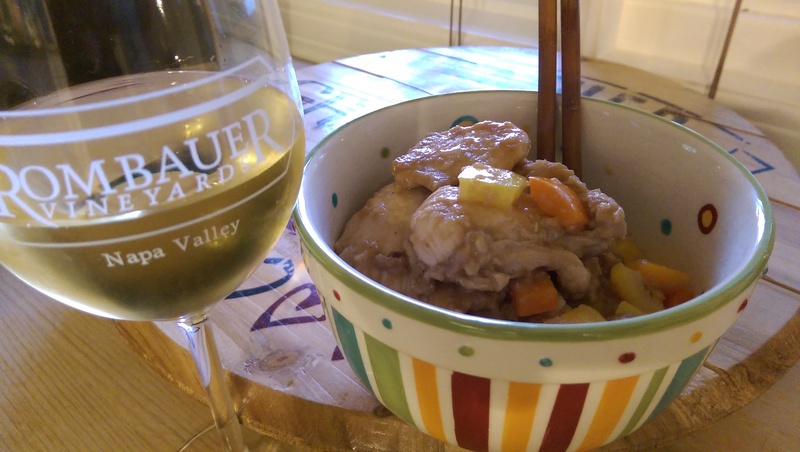 Chardonnay pares nicely with spicy food! 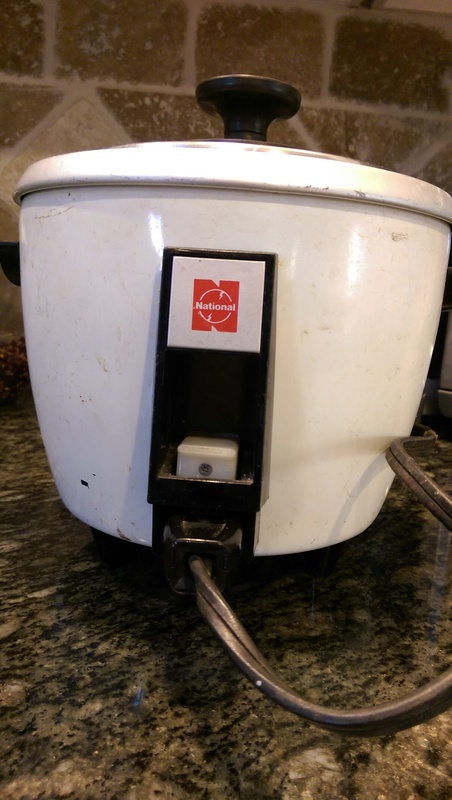 I had to laugh out loud when I saw your rice cooker – looks just like my college one from the late 70’s. Just can’t bring myself to upgrade, it has such good memories & still works like a champ (probably better made, too!) Thanks for sharing, Jeanine!